Speechling Review: Learn to Speak a New Language Like a Native! Would you like to speak Spanish, French, Chinese, and English like a native? Who wouldn’t? I have good news for you. An enthusiastic language learner Hongyu Chen joined his forces with other talented people. They created a tool which helps you to speak your new languages like a native. It will help you to improve your pronunciation in a way you have probably never experienced before. The method is called Speechling. Short Review: Speechling is a great tool to improve your pronunciation, vocabulary and confidence. I felt immediately how Speechling boosts my confidence to speak my target language. It also helped to spot my pronunciation mistakes and correct them immediately. Their personalized coaching and feedback feature was also very impressive. I’m glad they created this app and I believe Speechling will become even more popular during the coming years. I have just published an updated Speechling video review on my YouTube channel where I walk you through the process of getting started with Speechling and show how you can use my discount code. I’m sure you’ll find my video helpful and valuable. If you have any questions, don’t hesitate to ask me in the comments below and I’ll be more than happy to help you out. Speechling is a language learning tool that helps you to speak your target language fluently using their unique method. 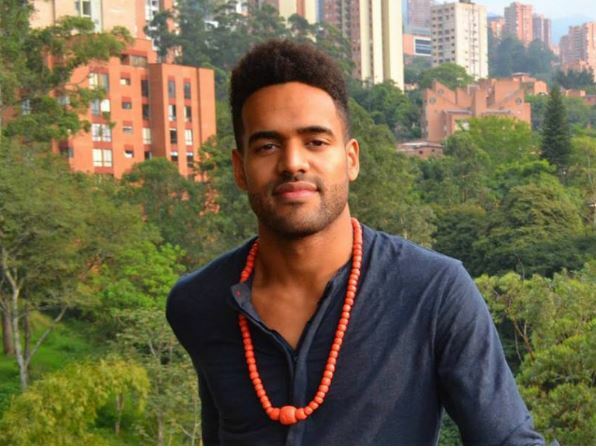 The creator of this app is famous of his challenge of becoming fluent in 90 days in French. I haven’t seen exactly similar language learning methods before so Speechling is totally unique. Mimic Method is another great tool that helps you to speak your target language like a native but that method is a little bit different. Speechling team is sure that their app is the best tool to improve your pronunciation. They clearly provide a great value for language learners. The Speechling method is spread out all around the world. People use it already in ~100 countries. Famous institutions like the University of Jerusalem, University of Minnesota, University of Texas, University of Washington and many others use trust in the Speechling method. How to Get Started with Speechling? It’s extremely easy to get started with Speechling. You can just go to their website and sign up for free or download Speechling app to your phone. You can sign up to Speechling in 5 seconds by using your email, Google+ or Facebook account. Then you choose your target language. Do you want to learn Spanish, French, Chinese (Simplified/Traditional) or English? At the moment Speechling team is concentrating to teach you those 4 languages but in the future, they may also expand to other languages as well. When you have chosen your target language, you are ready to start learning. Conversational fluency. When you follow Speechling training you will achieve fluency in your target language. Speechling has different kind of exercises to help you to become fluent. Let me give you a few examples. In “Repeat the Sentence” section you’ll first hear the native speaker saying the phrase and then you can record your own voice. You can get feedback to all of the recordings you want. Speechling provides also creative exercises like “Describe the Image” and “Answer the Question” where you have an opportunity to practice your spoken skills. Speechling curriculum has of thousands of sentences tailored to you. That’s why their program will help whether you are a complete beginner or already at a conversational level. Their app will help you to reach fluency and speak like a native. I’ll share you something more about their curriculum in the next chapter. You can choose your current level and learn phrases which are tailored for your level. In the Beginner (A1) level you will learn all basic phrases like “I am…” “Where are you from?” and so on. The great thing is that you don’t only see how they are written but you learn to pronounce them properly. The focus on Speechling is to teach you to speak your target language. So there won’t be a big focus on grammar. In my experience, you will learn grammar at the same time while you are practicing speaking. Speechling has thousands of phrases and resources to help you to learn more. So, you won’t run out of resources quickly. Speechling Conversations (see the picture above) helps you to answer real-life questions and describe different kind of situations and pictures. I found this section very helpful for more advanced learners. If you are a beginner, I recommend starting with other exercises. Speechling also lets you to set daily goals. How many new phrases would you like to learn every day? In my opinion, 10 phrases per day makes already some progress. If you want to become fluent in 3 months, then you need to set your daily goal higher. I really like this feature because it gives you additional motivational boosts and helps you to track your progress. I hadn’t used French for a while when I started using Speechling. I decided to take a few French exercises with Speechling.. I noticed immediately how got more confidence to speak French. I also became aware of some mistakes that I’ve made with my pronunciation and I was able to correct them. Many times when you speak your target language, you don’t pay attention to your pronunciation. Speechling helps you to hear where you could improve your pronunciation right away. Then you listen how the native speaker says the phrase and repeat. You will make progress fast. Speechling coaches give you personalized feedback and tips to improve your pronunciation. Yes, it’s completely free to start use Speechling. However, if you are serious about learning a new language and want to take your skills to the next level, I recommend using Speechling Unlimited. That’s their premium membership which includes following unlimited daily coaching and many other cool features. Have a look at the picture below to find out more. You will get a 10% discount on Speechling Unlimited with the code EASY17. With Speechling Unlimited you can get feedback for all of your recordings from native speakers. In addition, your recordings will be saved on the platform so you can easily track your progress. You can also switch between languages in seconds if you want. This is great if you are practicing, for example, French and Spanish at the same time. In the morning you can use Speechling for learning French and in the evening for Spanish. Speechling offers completely risk-free trial for a premium membership. I recommend that you first try Speechling with a free version. Then you can have a look around and see how their platform works. All visitors of LanguagesAreEasy.com get a 10% discount for Speechling Unlimited with a code EASY17. The Speechling team found that there wasn’t a similar tool to improve your pronunciation so they decided to create it. In my opinion, they have made groundbreaking work here and we will for sure hear more about them in the future. You have a wonderful opportunity to try Speechling for free today. I bet you’ll love it, especially if you want to speak like a native in foreign languages. In my opinion, you can use Speechling also as an additional tool while you are learning a new language. You can use, for example, LingQ for improving your vocabulary and Speechling to become a fluent speaker. Nowadays you can become completely fluent in a new language just by using online resources. You don’t need “old classroom methods” anymore. One great idea is that you practice phrases, sentences and speaking in Speechling and then you put it into action with real native speakers in Italki. Have you already tried Speechling? What did you like? If you have any questions of Speechling or learning languages, in general, feel free to leave a comment below and I’ll be more than happy to help you out. Thanks so much for recommend “speechling”! I love your review and will use “speechling” to learn French! I’m glad you like it. Speechling will help you a lot in your French learning. 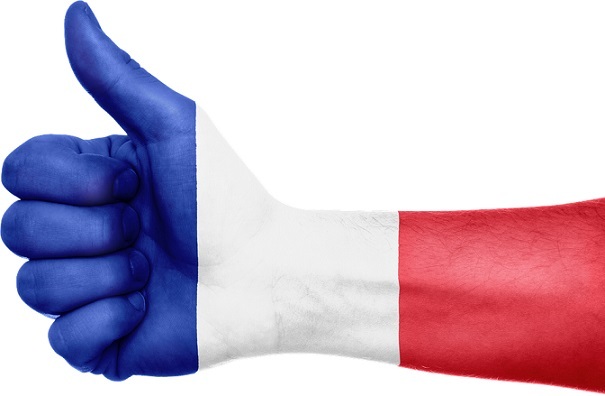 You can also have a look at these 7 wonderful French resources. Wow! That is a great deal. English is my second language, so why not adding one more language to learn. This will definitely help me. That’s true. Speechling will definitely help you to add another language. I always wanted to learn spanish so this will help me for sure! Also, i think that chinesse is an interesting language as well. That’s true. Speechling will help you to learn both of those languages. I saw that you also noticed Baselang which is one of the best resources for learning Spanish as well. Yes, and i will save money so i can buy spanish lessons. Good think they are not very expansive. Also, what is your favourite language? I recommend that you take, for example, one very intensive month to study with Baselang. Then you can take even 130 lessons and each lesson will cost you less than $1. It’s sick how fast you could really learn a new language. I hope there would be similar services for other languages as well. If I would need to name a favorite language, it would probably be Spanish. In my opinion, Spanish songs are very beautiful. That being said I think that every language has its beautiful aspects. I will definitely use this. I’m seeking applications that may help me to learn Chinese and speechling may be the answer for it. Thanks for sharing ! Speechling will definitely help you to learn Chinese. I don’t speak Chinese almost at all but I tried it with Speechling and it really helped me to learn pronunciation for some important phrases. A tool with emphasis on pronunciation actually seems to be pretty unique, specially thanks to the access to free pronunciation coaching. Most similar apps don’t really bother helping you learn to properly speak the language and at most just give you readings from native speakers. Even the free version seems pretty dedicated to help you improve your accent and fluidity. A lot of apps might teach you how to perfectly read and understand a language but they don’t go the extra mile teaching you how to speak it without making it painfully obvious it isn’t your native language. that’s true. I haven’t seen similar apps before so I was very glad to find Speechling. Their personal feedback feature is wonderful. When you practice pronouncing and want to get feedback from a native teacher they’ll offer it to you. And it’s included in the membership. I’m pretty excited to see how much Speechling will grow in the future. Speechling is almost free unless you want to have unlimited coaching from a native speaker. It has 10 free feedback every month but you can share their website on your facebook, twitter, and so on to get additional free feedbacks. This will give you more chance to try before you feel you really need to become serious to sharpen your speaking! I believe that the “speechling.com” website have much more tools although the app is convenient! Thanks for sharing this wonderful tool “speechling”! I will definitely use this. I’m seeking applications that may help me to learn Chinese and speechling may be the answer for it. Thanks for sharing ! XD…. Definitely! Speechling will help you a lot when learning Chinese. It will especially improve your pronunciation because you hear how natives speak it and you have an opportunity to get personal feedback. Hi! is the free version a trial version? I hope that the free version is enough to learn. I find their learning method easy to follow. 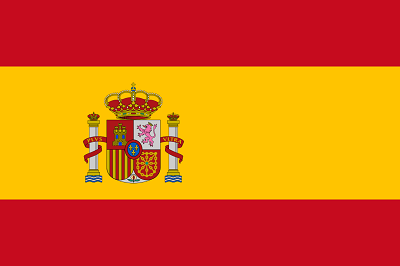 I plan to learn Spanish or Japanese because I want to be a translator or a tutor. Thank you. As I mentioned in the text, they have also a free version in Speechling. Working as a language translator or a tutor is an interesting choice because then you can also work online wherever you want. Have a look at Preply or One Hour Translation (this links takes to my another website where I show you can earn money with One Hour Translation). I’m wondering if this thing is the same or even better than these immersion methods like Rosetta Stone? Anyway, I suppose it’s unique, as the author claimed, simply because it promises results in so many days. However, though, I’m thinking this is just another way to repackage instant immersion software – and maybe not different. This is awesome! I wanna be a real linguist. I do some background checked about Speechling and i was amazed and impressed, the tools are simple, uncomplicated and straightforward. Are there any free ios apps or adroids apps in play store? or is this manageable in smartphones? Hi Mr. Kiuttu! This article really caught my attention and for some reason, I got inspired to improve my Spanish speaking skills. Spanish is the 3rd most used language here in the Philippines but I never bothered to learn the language, not until I read this article. I humbly ask for your opinion. Which method do you think will help me better? Is it the Speechling method or the Primsleur method? Thank you! Pimsleur and Speechling are two quite different courses. They have a little bit different approaches. I think if you want to learn the right pronunciation then Speechling would be better but for learning new phrases Pimsleur is probably more effective. Hi Sir! 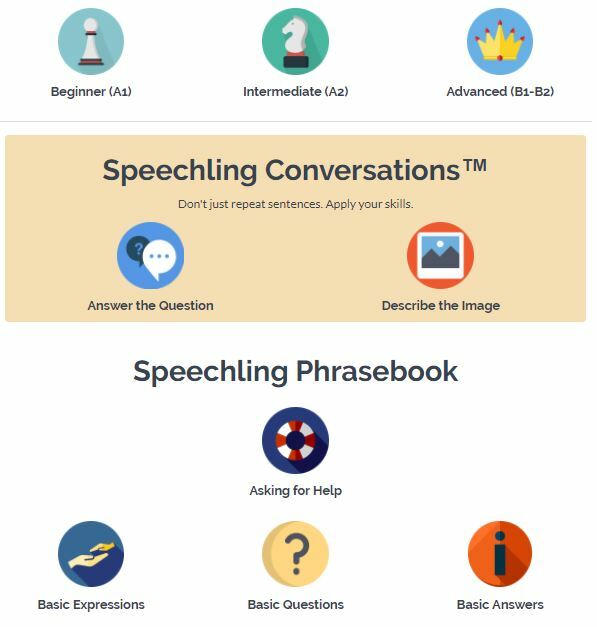 I just downloaded the Speechling app and tried it yesterday. So far, the quality of the app exceeded my expectations and my overall experience is just nothing but wonderful. In fact, I just received an e-mail from my instructor about her feedback on my pronunciations which further motivated me to improve. I’m just dropping by to say thank you for recommending this app. Two thumbs up for you sir! Thank you for sharing your experiences with Speechling app. I’m glad to hear that you’re enjoying it! Them including feedback just within 24 hours makes the offer really enticing for me. When I tried learning other languages before, pronouncing the words like a native was the most difficult to do. I know the words, I can say it, but the just can’t speak it naturally. I guess it’s because I used a program where there’s no feedbacks or coaching since it was just for free. Does this app have a trial version and if yes, does it entail coaching? It’s just that I want to try if its effective for me before paying for it. Does it give Korean lessons? This is the language I need to learn the most as soon as I can because I’ll be visiting the country soon and I’ve heard that not everyone can converse in English there, so I have to at least learn the basics of the language. After all, I can’t rely on Google Translate all the time because we all know that it’s not 100% accurate. As I mentioned in the article, you can create an account for completely free. You will get also personal feedback but then it’s only for limited audio recordings. 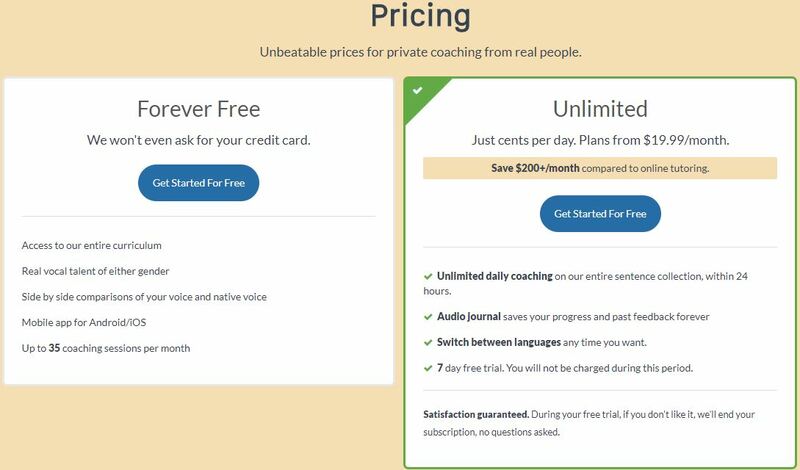 With a premium version you will get unlimited feedback and coaching. At the moment they are concentrating on 4 languages: Chinese, Spanish, French and English. Maybe in the future they’ll provide Korean as well but at the moment the focus is on those 4. Oh okay, thank you for this. I guess maybe I can check out the free version first. I am trying to learn Korean now because I’ll be visiting the country soon, but I’ll continue learning French or Spanish after that. This could really help me on that, and the unlimited feedback and coaching makes it more interesting. I really want to be fluent in other language other than my native tongue and English. Yes, Speechling will certainly you to achieve your goal. Hi sir! After reading this post, I decided to download the app. I’ll be using it later and I’ll write another feedback! I think this is going to be amazing. great to hear that. I’m sure you’ll enjoy the app. I’m looking forward to hearing your experiences. Wow great information. Learning different language in one application really satisfying. Surely i will download this one to improve my skills in speaking native accent of Chinese, Spanish and French. I hope they will offer also other languages and in that way they will get a really high rating on reviews. Thank you so much for sharing to us this things. Really informative and helpful. Yeah, this will be very helpful because I remember that you want to learn French. I enjoyed Speechling’s resources for learning French. You can really make a huge improvement with your pronunciation skills. Pronunciation has been one of my issues when I was trying to learn French. That and the grammar rules. It was really hard for me because when I was trying to learn it, there was no one to really mentor me on how to do those things properly. With the coaching they have on this app, it could make learning the language easier and faster. I just downloaded the app and I think it’s pretty good. It is not hard to use and is user friendly. I just wish you could control the speed of the audio recording though. I tried simplified chinese but I found it hard to catch the sentence that I was supposed to speak out and record. Other than that, I think it’s a really good way to enhance your learning experience. I hope they would have korean and japanese available soon. Once again, thanks for the share. I forgot to mention in the article but Speechling has also an option that makes the pronunciation slower. So, you can listen to it at half speed as you want 🙂 Just click the picture of a tortoise on the left-hand side. Really helpful to me this kind of article. English was my gateway to entering some online jobs. But there was something I was lacking. I feel a bit of pressure when I speak English. I will learn how to be confident when speaking languages. Speechling app will definitely give you confidence for speaking English. When your skills add up you will also naturally feel more confident to speak a new language. I know it from my own experience. It seems to apply other skills as well. If you know how to do something well, you are very confident when doing it. I just downloaded the application in past few days. I am really learning from it. Such an amazing application. I got also problem in the speed pronunciation and thanks i learned how to play it in slower speed. This really helps you improve the pronunciation and accent how to speak the languages in proper way. I’m happy to hear that you like it. It’s also good that you found the “tortoise” icon to slow down the speed. If you are starting out with the language, that tool can be very helpful because you can hear all the details of the phrase. Thanks for sharing! I will definitely try this. I would really love to learn to speak Korean. You’ll definitely learn to speak Korean if you want and you are willing to put the effort. 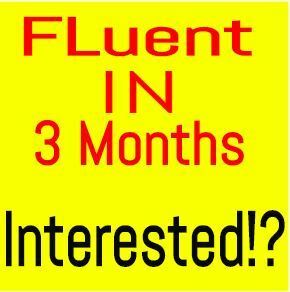 Check out Fluent in 3 months by Benny Lewis. It will certainly help you to learn it faster. Wow! I didn’t know that there were something like this. It is amazing that I can speak a language like a native in just short amount of time. I am going to be very proud of myself if I do this. And maybe I can also help others buy introducing this to them. Speechling is truly unique as it naturally works to build both writing and oral skills for learning and speaking target languages like a native. To most people, learning new languages is quite challenging, whereas Speechling app has solved this issue. Classroom teaching helps language learners to some extent, but not as much as using tools like Speechling. It’s helpful that a certain discount is given on purchasing this app and that encourages prompt payment. I never knew that there could be a language learning app that can be used to learn up to four different international languages like French, Spanish, English and Chinese. I have just accessed the site and found that the tool can help anyone speak those languages like a native. It also helps for the right pronunciation and it’s feasible for anyone to become fluent in just 90 days. I’m already preparing to purchase this app. Yes. Speechling especially concentrates on improving your pronunciation. There are many apps that help you to write and read so Speechling team wanted to do something unique. There are some other apps that also highly concentrate on pronunciation like Mimic Method, for example, but most apps are designed to improve writing and reading skills. Sounds great. Do you believe it can take someone from about A2 to C1 in months? Does it have vocabulary? I thought I read there is also a dictation feature where you listen to a sentence and then right it down to see if you made any mistakes in order to improve your listening comprehension. You can get from A2 to C1 in a few months. Usually, I recommend using several tools instead of just sticking to one. Use Speehcling, language games, practice with natives, listen to podcasts, etc. You’ll learn new vocabulary with Speechling because they teach you so many useful phrases and sentences. I have always used the traditional method to learn languages. By traditional method I mean enrolling in a language school and attending the class regularly. I brushed up my English skills by enrolling in British Council and tried to learn French by joining Alliance Francse, a language school sponsored by the French government. sadly, I could not complete my French language course. If Speechling is a great tool to improve pronunciation and vocabulary, I might use this. Thanks for this great review. yeah, most people use those traditional methods but I think it’s going to change in the coming years. Online resources are becoming more and more popular and people start to realize how much faster they can learn on their own instead of going to classes. Let me know afterwards what did you like Speechling. You can practice both English and French with it. How we gain knowledge and develop skills have substantially changed these days. There was a time when traditional classrooms were the only place where one could learn, however, these days we can take to online classroom. The best thing about online learning is we can learn according to our convenience and it is also cheap. Good points. Before we didn’t have the same resources like we have today because of the Internet. At the sight of the topic, I thought this was juat another version of many alike tools, Mimic Method for instance that I’ve read about in one of your previous post. But as you pointed out, this one seems more different and direct than others. I have seen so many good tools here which you’ve recommended and to be honest with you, am finding it difficult to choose the best one for me. I just might have to go with a lot at the same time or maybe just the free or less costly options😉. Thanks for the recommendation. Am trying a few of them and everything seems to be going on smoothly. But with so many of them, I think I’ll just have to settle for one as you suggested. I find this information very helpful to us online job hunters, because we can work even in an uncharted territory. Many clients is from all parts of the world and have different languages that they like to use in their native tongue. Thanks for this suggestions and I will try it. That’s true! Especially if you are living a cheap country and teaching somebody who lives in an expensive country, you can earn quite a good money. I really like what you are doing with this your site. You give insights, tips, and tricks on how to quickly learn a different language. And I like this Speechling and I will be trying it out. I will be creating an account so that I can already start-up learning the language of love. This language is really one of the things written in my wish or bucket list to do. Now I can learn little by little every day. Thanks a lot really appreciate what you are doing. I think you are talking about French. It’s a really beautiful language. I like to listen when French people speak (especially now when I understand something what they say). Speechling will for sure help you to achieve your goals with French. Wow, I like the side by side comparison between a student and a native speaker. I like the promising platform since an eager learner such as I am might possibly be fluent enough after a few months. It has a handy mobile app like Duolingo. I get to use the free lifetime learning perks of the app. Yeah, Duolingo is certainly a great language learning app. It focuses on quite different things than Verbling. Duolingo teaches you the basic vocabulary while Speechling helps you to learn the right pronunciation and phrases. This seems like one of the best apps ever! I’m humbled by their dedication to providing quality service and not focusing too much on the marketing and money making side of things. I’ve noticed that the best tools always prioritize quality learning over monetary gain. If they put all their hard work to ensuring the continued progress of its users, they’ll attract more and more loyal fans of their app. I might become one of them too. The most interesting part has got to be the voice review from professional coaches. It sure is something. Excited to try it soon. That’s true. I think Speechling also focuses on monetary site but perhaps not as much as some other companies like Rosetta Stone. Anyway, Speechling certainly offers unique value for the marketplace. I agree. The most profitable apps and companies always have good service in mind. They take their time to build their loyal fan base and make sure they’re getting the full advantage of their products. Speechling will surely have a place of its own in the language learning niche. I totally agree with you! I found out Speechling is a non-profit organization! This explains why they focus on the product! Only a good product will meet their mission “Everyone in the world deserves access to quality language education.”(https://speechling.com/mission). It seems that their prices are very low so that they do not intend to make money. I think that the money they charge is for three things: the operation cost, a small marketing fee, and scholarship (https://speechling.com/scholarship) for people cannot afford it, in addition to their free-forever plan! Thank you, Roope, for identifying such a wonderful platform with a lot of cool tools, such as dictation, listening comprehension, and audio dictionary, ! Very appreciate!